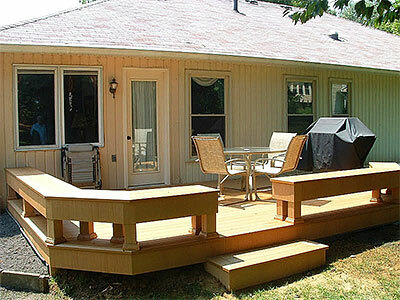 When a deck is being built, there are a number of things that have to be taken into consideration. In addition to the actual base materials, some homeowners in Annapolis and the cities in the vicinity, request for railings too. Railings add safety and beauty to the structure. These railings are available in a range of design and style options are we also provide you with options that will match the design of the deck that we are installing for you. We also ensure that they match the architectural styling of your home and create a very complete look. The decking accessories that we provide to our customers in Odenton, Crofton, and South Gate add a very finished to the decking. They provide security without actually taking up too much of extra space. If you so wish, we can also build a privacy wall as part of the railing. These decking accessories are also called sleeves and they fit on top of the regular posts and add a very different and unique look to the entire setting. They are a great way of adding a special touch with the least amount of hassle. This is one accessory that can make a significant difference to the entire look of your decking. We can add LED lights or solar – powered lights to add drama and allure to the structure. The steps and posts can be highlighted and you can choose colored lighting too. 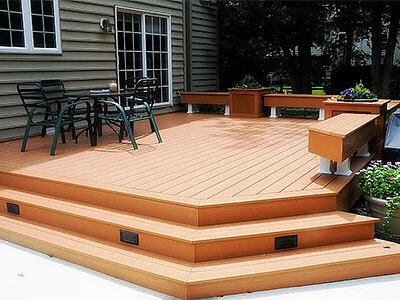 Visit Fence & Deck Connections at 8057 Veterans Hwy Annapolis, MD 21108 and ask for our latest decking accessories and solutions. Our knowledgeable and helpful staff will provide you with the best solutions with the most efficient service.